Fitted with a powerful 2400W motor and a smooth 165Bar pressure pump, this pressure washer can deliver a constant nozzle pressure of 110Bar! 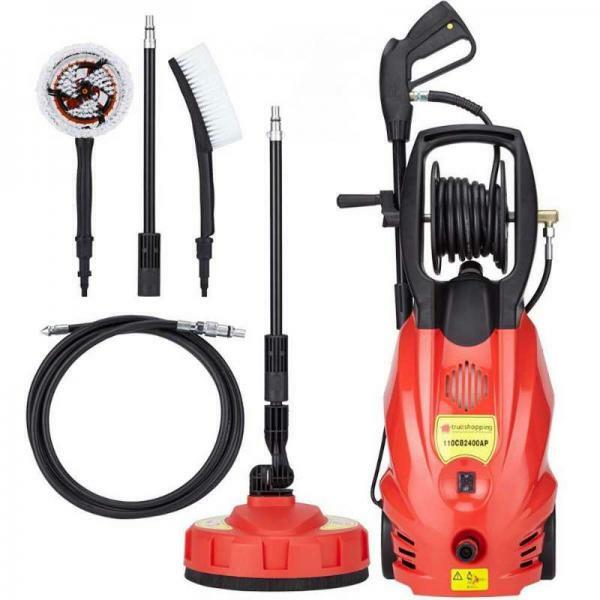 The pressure washer features a 5m hose with built in hose real for easy storage, wheels for easy maneuverability and a built in detergent tank. There is also an automatic stop start facility so that when you release the trigger the engine doesn't keep running. The Pressure washer delivers unbeatable power and reliability to give you truly enjoyable and impressive cleaning results.